Arak as a high-powered beverage is a traditional drink that can be intoxicating if consumed in large quantities. 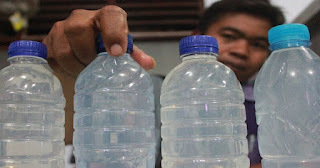 This drink is a genuine drink of Javanese that existed since time immemorial. 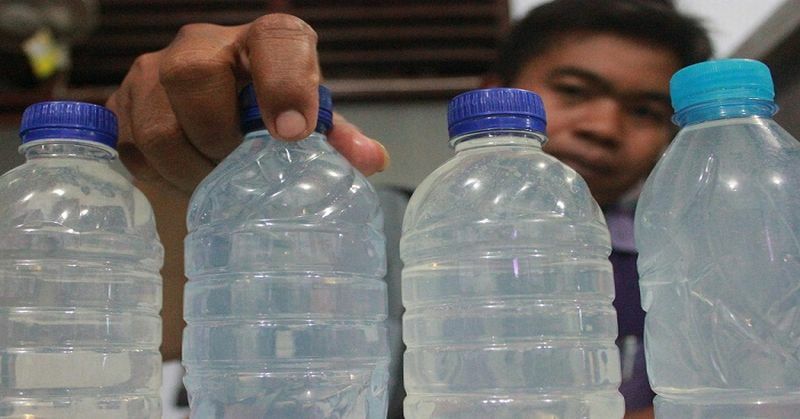 The making of arak in Plumpungan is not known when it started. But from the story of parents, this activity has lasted hundreds of years or since ancestors first. The business of making wine inherited from generation to generation. Until now, there are about 50 people who still cultivate the business, precisely in the hamlet Plumpungan Banjardowo village, Kradenan district Grobogan district. The making process is still done traditionally. Typical pemandanan existing in the village seen a pile of firewood in front of the house residents. When passing around it, it usually smells quite stinging. Based on the narrative of H Tarmuji, a local figure who is also one of the artisans of the Plumpungan wine producer explained that the ingredients of making Plumpungan arak are different from the materials from other places. Ie using some natural material composition, among others, glutinous rice tape, yeast, water and brown sugar. These ingredients are mixed together and left for a few days or fermented. After that, just done the distillation process with traditional stove. Some have used a modified furnace. Arak produced from the distillation process has several classifications. Namely, super, medium, and ordinary depending on the level of alcohol. For local residents, the resulting wine is considered as traditional herbal medicine and considered not dangerous. With notes, drinking is not too much or according to the recommended dosage.